A common every day object like a chopstick or a pencil may seem harmless. However, these common objects can actually be very dangerous to infants and toddlers. A news story was reported from Beijing, China involving a 14 month old boy who accidentally had a chopstick go up his nose and into his brain from a fall. 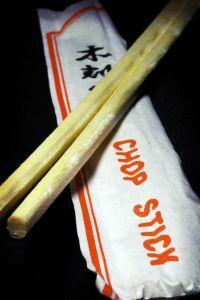 Fortunately, doctors were later able to remove the chopstick through surgery. Doctors were concerned about a possible infection because the chopstick was dirty. Parents should take note of this incident and do their best to remove any object that may cause harm to a small child from a fall or other related incident. You can read more about this story at Chopstick Removed from Toddler’s Brain.